It is not good enough to be rich in knowledge, you must be rich in utterances. As sons of God with a new mind, we don't talk about things,issues or problems we talk to them to effect changes. 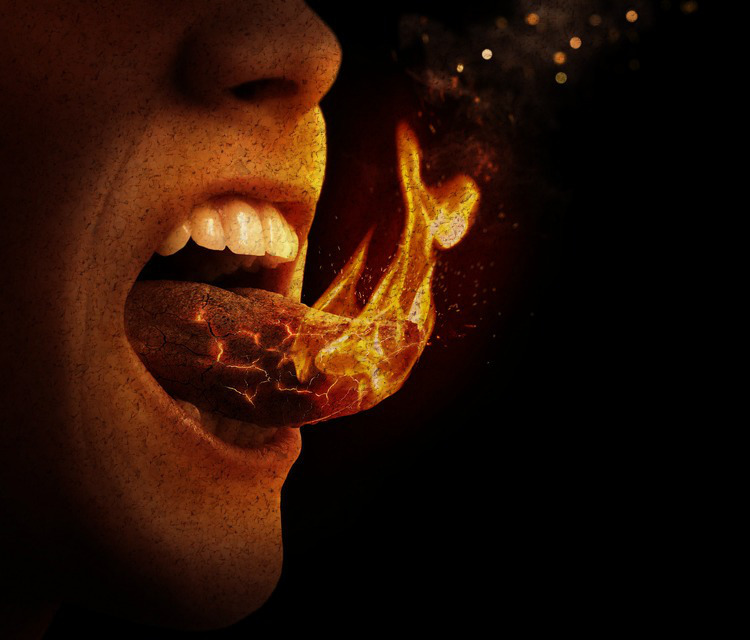 The WORD lives in you and is in your mouth. Utterances stop every demonic advances. Utterances is speaking God's word in the Spirit or under the anointing. This the covenant of spiritual breakthrough and success. That the word works is not a question that should ever cross your mind. The Word is God. Your ability to trust God at His word is your ability to prosper. This is the foundation for breakthrough in the word and the spirit. You must love, embrace, exalt and glorify the word. That is one of the things that make you a David. Psalm 119:162. His desire for the word was very strong and it was based on the understanding and potency of God’s word. Psalm119:42-43. Beloved the time has come and now is when the word of God has become your life, your breakthrough, your authority, your health, your prosperity and more. Beloved the word of God is designed for your mouth . That is the habitat for the word. That is where the word becomes alive The word was given or written so that you must proclaim, say or declare the word. The word goes in as letter and after processing, it comes out in your mouth as life and spirit. Joshua was instructed to keep the word in his mouth if he wanted to succeed (Joshua 1:8). The heavens and the earth are settled as you declare and release God's word in your mouth. The word of the Lord is spirit and for the word of the Lord to come to you and deliver for you, your ability to hold on to the promises of the word or keep the word or nurture the word will definitely be tested. And when the word of the Lord manifests, that is the Spirit of God and the Spirit of Christ in manifestation. You just cannot afford to not wait for the glory of His manifestation.Joseph 's feet was hurt with fetters. He was laid in iron until the time that his word came. (Psms 105:18-19). When his word came, he was lifted out of fetters and irons into the palace.His dream was fulfilled. You word is coming and your dreams shall be fulfilled in Jesus Name. As you engage yourself in daily exercise of speaking the word don’t be surprised that the enemy shows up in your mind by focusing your attention on things that are not working in your life or are yet to work in your life or in the life of others. It is all because he is afraid of the coming manifestation of the word. When the word takes over or manifests then you have secured your rest. You are in the land of your breakthrough and the season of fulfilment. So Beloved the key is patiently and consistently speaking the word, knowing full well that the Word is coming. I will be talking about a daily exercise of speaking the word at least once in a day especially, early in the morning with emphasis on the areas of our lives that the enemy likes to attack. 1. YOUR BODY- Your body is the temple of the Holy Ghost so disease and sicknesses are not permitted there. (1Cor. 6:19). Your body has been healed. (1Pet. 2:24) and if there is any sickness currently inhabiting your body with you it is the Lords responsibility to take it away from you (Exo.23:25). Your blood is healed so no evil bacteria or virus is permitted to dwell therein. (Joel 3:21). He was wounded for your transgression and bruised for your iniquity so that your heart and body might be protected from wounds and bruises. Some basic prominent members of your body are God’s tools of blessings in your life, they are means of connecting you to your spiritual blessings such as your feet, your hand, your mouth, your eyes and your ears. Your feet are like hinds feet and as you speak to them they climb to your high places in life. Your hands are blessed and they are holy hands and as you speak to them whatever you lay your hands on must prosper. Your mouth is equally sanctified and as you speak, the voice of the word manifests. So learn to be conscious of how powerful your body is in determining your spiritual victories. Join me in the prophetic flow below as we send God’s word on your body. 2. YOUR FINANCES/ECONOMY- Knowing that your financial stability and well being has a lot to do with your happiness in this life you just have to speak God’s word over it daily. The heavens are opened unto you, the works of your hands are blessed, the land you dwell is fruitful and your head is anointed. All these are ingredients of financial prosperity. Abrahams blessings is working upon you so opportunities are opening to you, your skills and productivity are getting enhanced and developed and this will greatly enlarge your income base. Your savings is growing, your spending controlled and protected and your investment is secured beginning with kingdom investment. Your need and ability to borrow is reducing. The Lord is able to meet your basic needs (Math. 6:33), give you good things of life(Psms84:11), give you abundance and more than enough(2 Cor9:8) and eventually give you the wealth of the nations(Eccl.5:19,Isa 60:5). The word will do all this for you. Join me in the video clip below to speak God’s word over your finances.